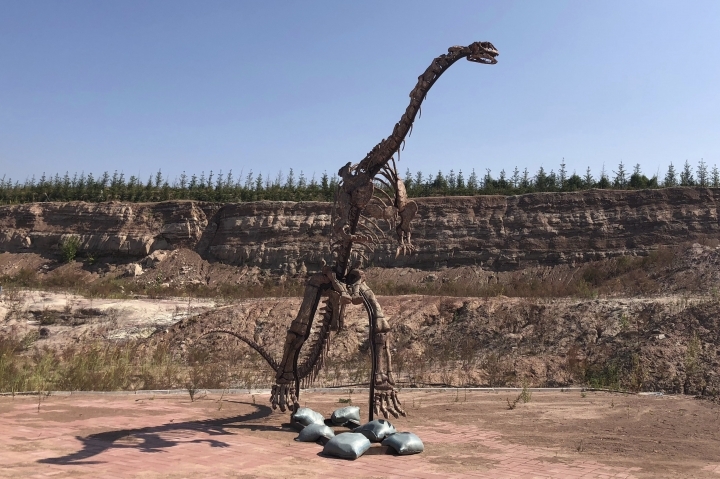 YANJI, China — At the end of a street of newly built high-rises in the northern Chinese city of Yanji stands an exposed cliff face, where paleontologists scrape away 100 million-year-old rock in search of prehistoric bones. China's rapid city building has churned up a motherlode of dinosaur fossils. While bulldozers have unearthed prehistoric sites in many countries, the scale and speed of China's urbanization is unprecedented, according to the United Nations Development Program. 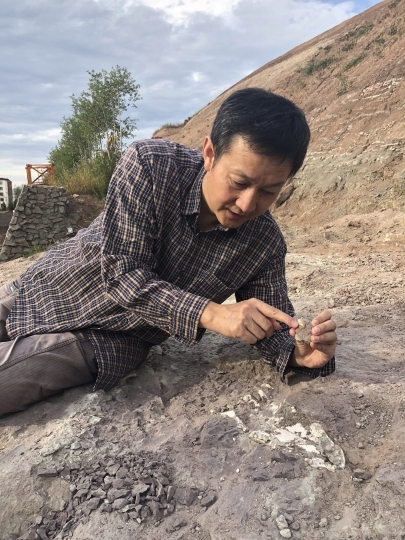 Perhaps no one has seized the scientific opportunity more than Xu Xing, a diligent and unassuming standard-bearer for China's new prominence in paleontology. The energetic researcher has named more dinosaur species than any living paleontologist, racing between dig sites to collect specimens and further scientists' understanding of how birds evolved from dinosaurs. Matthew Lamanna, a curator at the Carnegie Museum of Natural History in Pittsburgh, said Xu is "widely regarded as one of the foremost, if not the foremost, dinosaur paleontologist working in China today." "Xu Xing is A-M-A-Z-I-N-G," Kristina Curry Rogers, a paleontologist at Macalester College in St. Paul, Minnesota, wrote in an email. 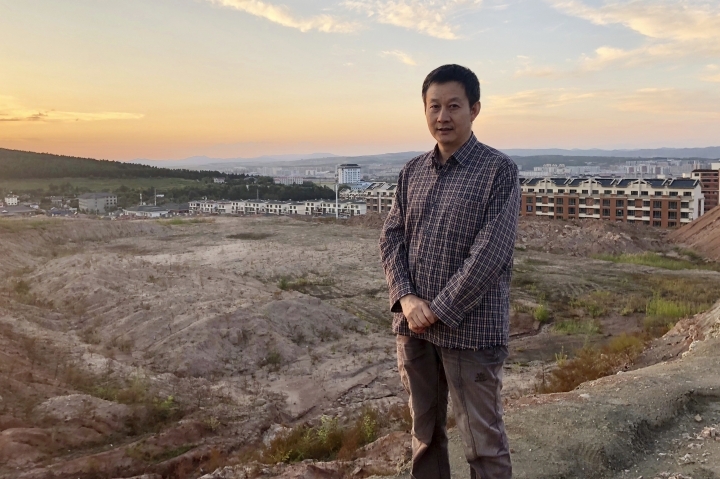 Two years ago, Xu's colleague at the Chinese Academy of Sciences in Beijing, Jin Changzhu, was visiting family in Yanji when he heard talk of fossils uncovered at a construction site. A preliminary inspection yielded what appeared to be a dinosaur shoulder bone. Less than an hour's drive from the North Korean border, the midsize city has been erecting residential blocks quickly. Seen from a plane, Yanji looks like a Legoland of new pink- and blue-roofed buildings, but there's one long empty lot of exposed rocky hillside — the excavation site. 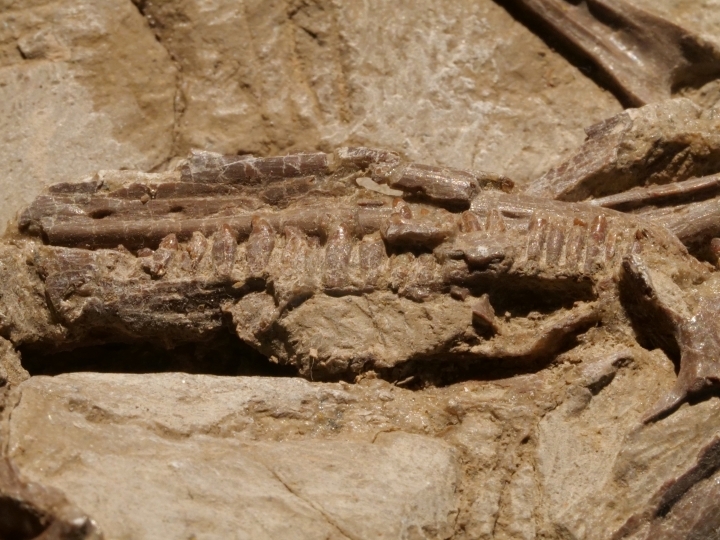 When Xu arrived at Yanji, he recognized the site could fill gaps in the fossil record, noting the relative paucity of bones recovered from the late Cretaceous period, which was around 100 million years ago. An analysis of the layers of volcanic ash revealed the site's age. Xu is now overseeing a team of scientists using picks, chisels and steel needles to study the exposed hillside, where geologic layers resemble a red and gray layer-cake. The site has yielded partial skeletons of three ancient crocodiles and one sauropod, the giant plant-eating dinosaurs that included some of the world's largest land animals. 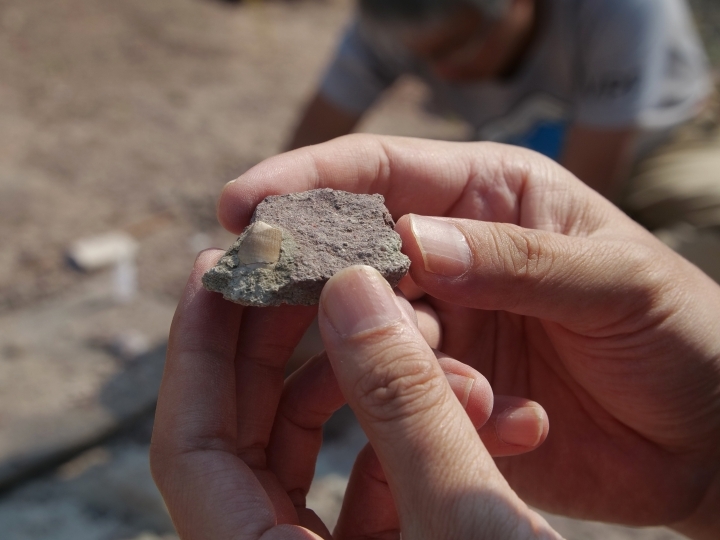 "This is a major feature of paleontology here in China — lots of construction really helps the scientists to find new fossils," said Xu as he used a needle to remove debris from a partially exposed crocodile skull. Born in 1969 in China's western Xinjiang region, Xu did not choose to study dinosaurs. Like most university students of his era, he was assigned a major. 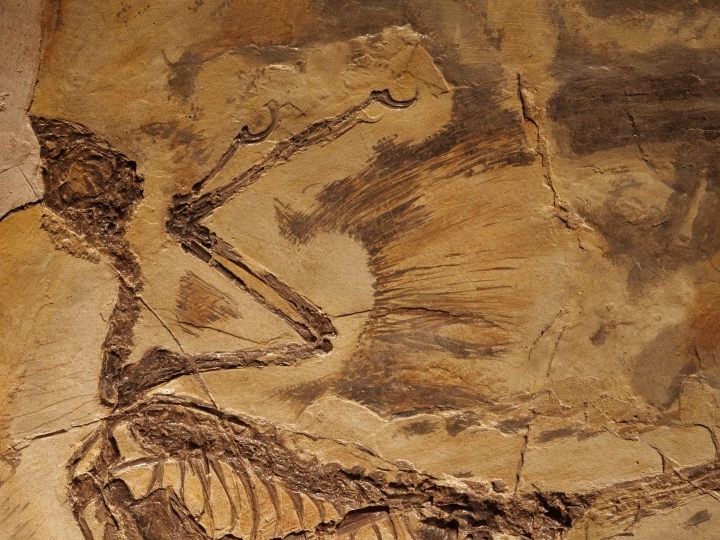 His love for the field grew in graduate school in the 1990s, as feathered dinosaurs recovered from ancient Chinese lakebeds drew global attention. 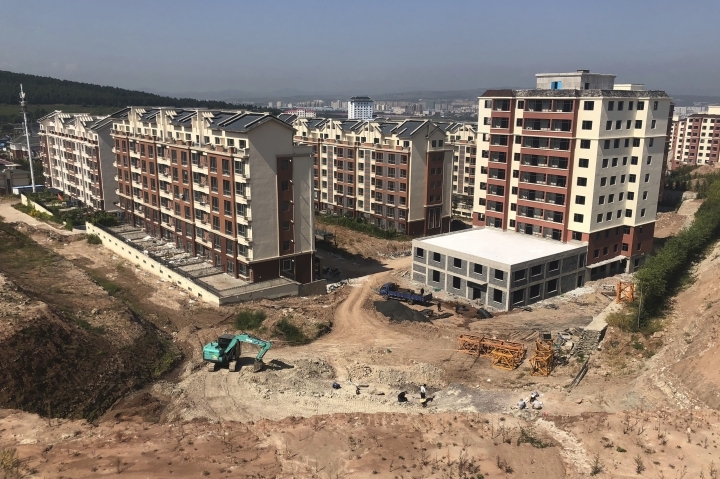 When Xu and Jin discovered fossils in Yanji in 2016, city authorities halted construction on adjacent high-rise buildings, in accordance with a national law. "The developer was really not happy with me," said Xu, but the local government has since embraced its newfound claim to fame. The city is now facilitating Xu's work, and even built an on-site police station to guard the fossils from theft. Once the excavation is complete, a museum is planned, to display recovered fossils and photos of Xu's team at work. It's not the first museum to commemorate Xu, whose prodigious fieldwork has taken him across China and resulted in a flurry of articles in top scientific journals. 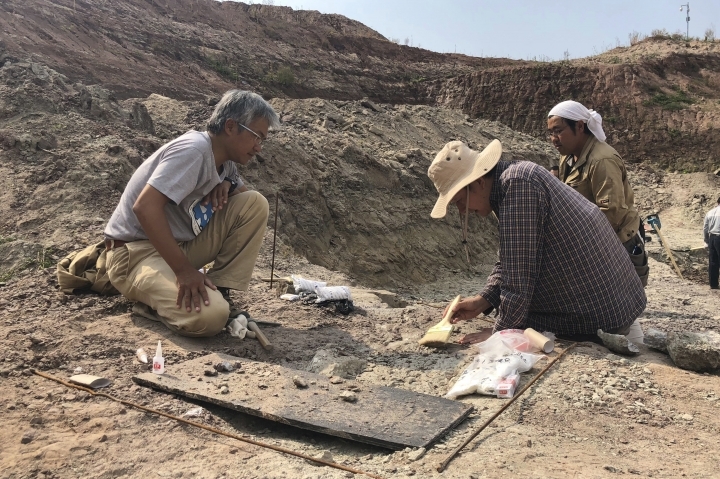 Toru Sekiyu, a paleontologist from the Fukui Prefectural Dinosaur Museum in Japan who assisted on the Yanji dig, called his Chinese colleague "a superstar paleontologist." But Xu is quick to point out the role that good fortune has played in his career. "To publish papers and discover new species, you need new data — you need new fossils," he said, adding that finding new species isn't something a scientist can plan. "My experience tells me that you really need luck, besides your hard work. Then you can make some important discoveries." 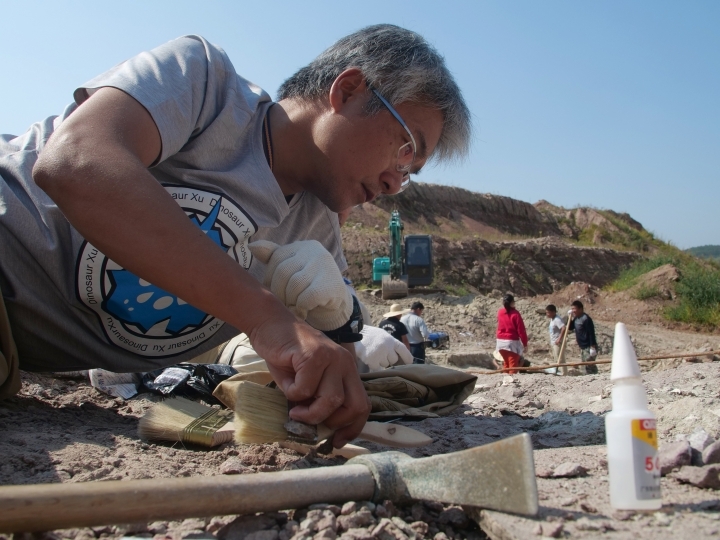 With digs in Inner Mongolia, Liaoning, Yunnan and other Chinese provinces, Xu patiently oversees excavations, sometimes chiseling for years before he knows their ultimate significance. While his finds are wide-ranging, much of his career has focused on understanding how dinosaurs evolved into modern birds. China is an ideal location for that study. Two decades ago, rare dinosaur fossils that preserved traces of feathers were found in ancient lakebeds of northeastern China. This discovery, which helped scientists demonstrate that birds descended from dinosaurs, was possible because the mixture of volcanic ash and fine-grained shale in the lakebeds had preserved bits of soft tissue, including feathers — unlike the majority of dinosaur fossils, which contain only bone. Since then, a flood of new dinosaur bones unearthed in China has helped scientists rewrite their understanding of the tree of life in various ways. 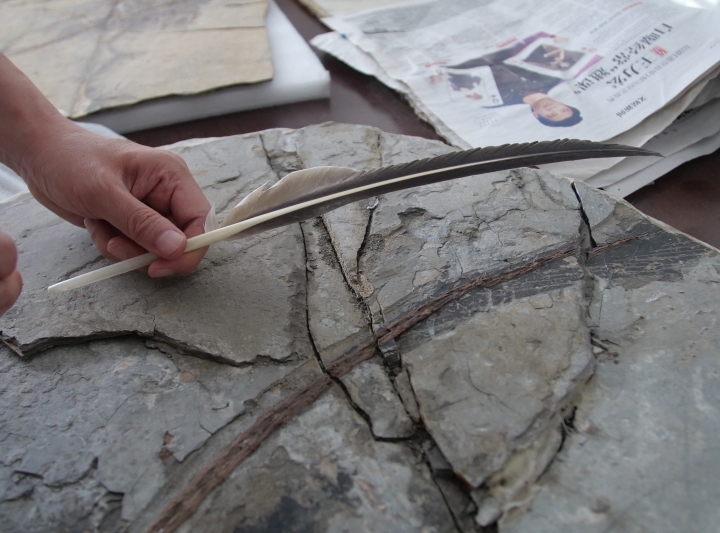 Xu has been at the forefront of research into how dinosaurs evolved feathers and flight. In 2000, he described a curious pigeon-sized dinosaur with four feathered limbs, apparently early wings that allowed the animal to either fly or glide. In 2012, he detailed a carnivorous tyrannosaur , which also had plumage — raising questions about feathers' original purpose. Xu now believes that early dinosaur plumage may have played a role in insulation and in mating displays, even before flight feathers evolved. He co-authored a 2010 paper that examined fossilized melanosomes — pigment packets that give rise to color in modern bird feathers — to deduce the likely colors of dinosaur feathers. Some species likely sported rings of white and brown tail feathers; others had bright red plumage on their heads. Embracing new technology, his team also uses CT scanners to study the interior of fossils and builds 3-D computer simulations to make inferences about what range of motions a dinosaur may have had. 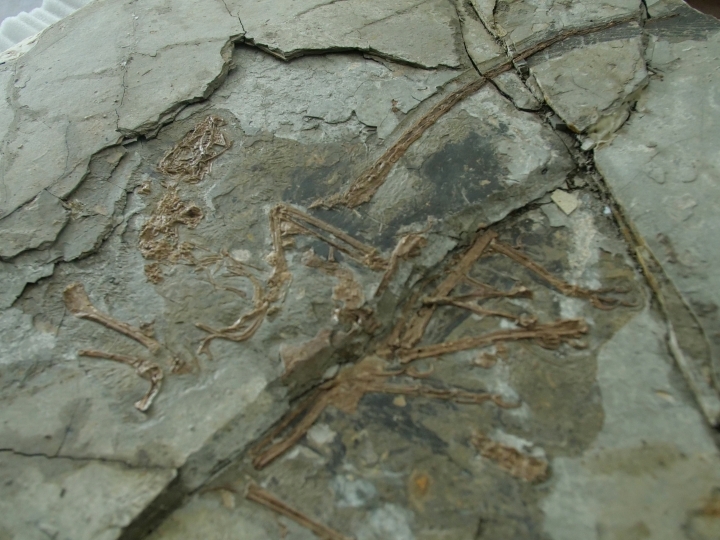 One of the fossils Xu is now examining, found at a construction site in Jiangxi province, will shed light on how modern birds' reproductive systems evolved from dinosaurs, he says. In addition to professional accolades, Xu's work has attracted attention from schoolchildren in multiple countries, who mail him handwritten notes and crayon drawings of dinosaurs, several of which hang in his Beijing office. Xu replies to every letter, email and text message with a question about dinosaurs. "I feel it would be weird or impolite not to," he said. But in an era of social media, Xu has refrained from signing up for WeChat, the dominant messaging platform in China, because "I don't think I could find time for all the new messages." 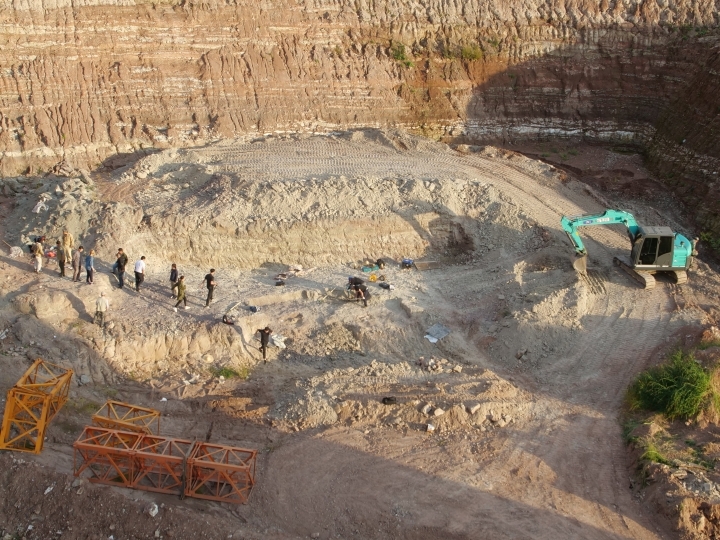 Back at the site in Yanji, a colleague brings him a large rock with an exposed sauropod vertebrae to examine. The bone has a spongey texture, which Xu says is a result of the animal's respiratory system. Like modern birds, he believes sauropods breathed using both lungs and distributed air sacs, which can leave an impression in the bones. 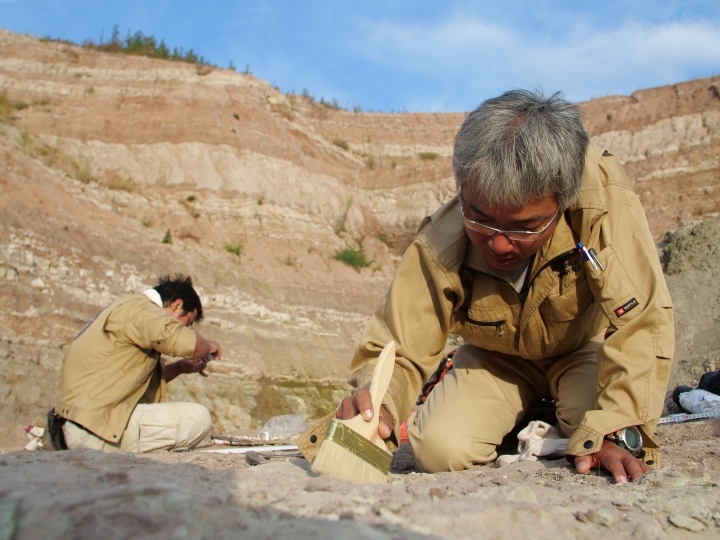 Xu uses a brush to flick away dirt to inspect the fossil more closely. "Basically we are reconstructing the evolutionary tree of life," he said. "If you have more species to study, you have more branches on that tree, more information about the history of life on Earth."